The delegation member visited Rohingya camps on Wednesday to observe firsthand the situation of the forcibly displaced Rohingyas from Myanmar sheltered in Cox's Bazar district. 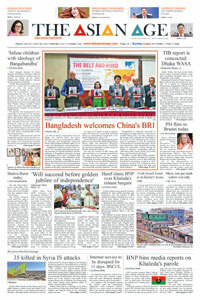 They assured Bangladesh of taking up the issue with their respective parliaments, said the Foreign Ministry here. They also met State Minister for Foreign Affairs Md Shahriar Alam at the Ministry of Foreign Affairs. The delegation included PUIC Secretary General Prof Dr Mahmud Erol Klilic and the Members of Parliament from six member states of PUIC, namely Algeria, Iran, Malaysia, Morocco, Sudan and Turkey.